I've finally just created my Etsy 'About' page ! Etsy would only allow me to put in 5 pics. There were some that I could not fit in, so I'll show them here instead. 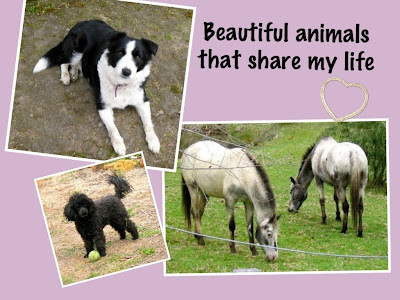 The first one is of 4 very important hair, furry creatures who share my life...my dogs Kira the border collie, Gypsy the toy poodle, and Patchy Lad and Vance, my two appaloosas. 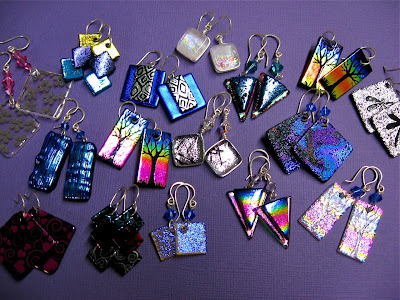 And the next two pics are just some pendants and earrings that are on etsy at the moment. Do you want to see my latest creations before anyone else? Hi :) My name is Deborah and I am a Glass Artist living in the beautiful South West of Western Australia. 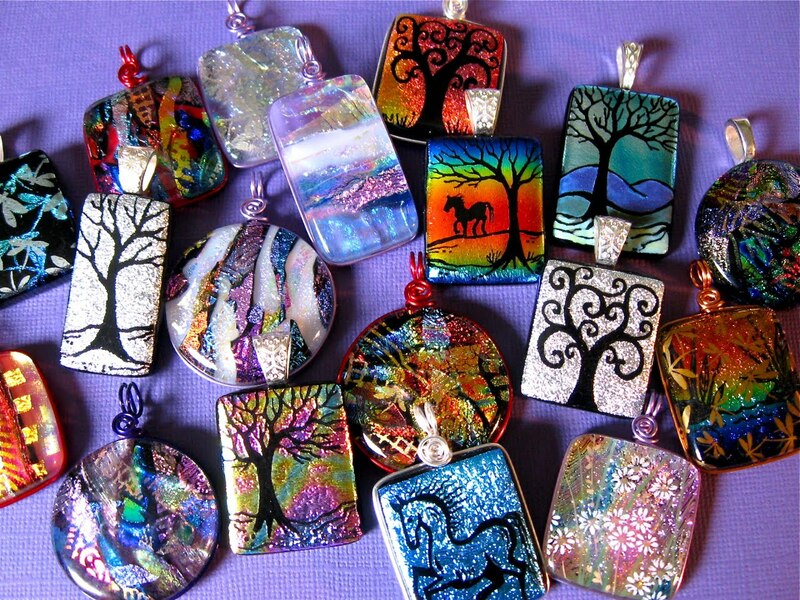 My passion is glass... I LOVE playing with it, and creating gorgeous things with it.